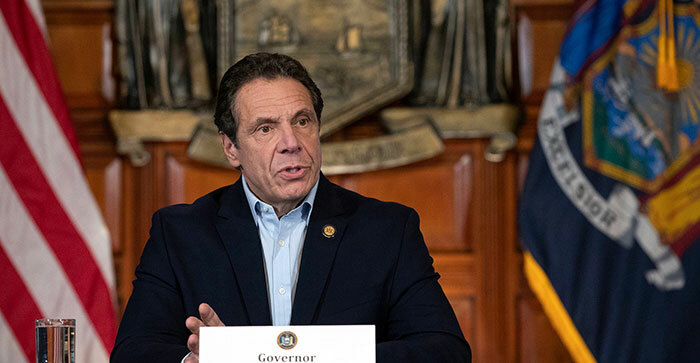 Governor Andrew Cuomo called the Fiscal Year 2020 Enacted State Budget “the broadest, most sweeping…timely and fiscally responsible” plan in his nine years as executive. While the balanced Fiscal Year 2020 Enacted Budget boasts several progressive provisions that are the product of Democratic control of Albany, it is the historic congestion pricing agreement that clearly is the focal point of the Empire State fiscal agenda. According to Gov. Andrew Cuomo, who announced on Sunday that an agreement had been reached on the $175.5 billion budget, the plan increases education funding, reforms the State’s criminal justice system, and prioritizes investments in infrastructure projects critical to meeting New York’s 21st century needs. As Cuomo noted, the FY 2020 spending plan includes MTA reforms and new dedicated funding streams to the MTA. It requires the MTA to develop a reorganization plan by June; modifies MTA Board appointments to align with appointing authority; requires the MTA to undergo an independent forensic audit and efficiency review; calls for a major construction review unit made up of outside experts to review major projects; implements a 20-year capital needs assessment beginning in 2023; increases the competitive procurement threshold to $1 million from $100,000; establishes a 30-day review notice for comptroller contract approval; and requires public reporting on MTA performance metrics. The MTA funding includes congestion pricing, or a “Central Business District tolling program,” the first program of its kind in the nation. This will include the installation of electronic tolling devices on the perimeter of the Central Business District, defined as streets south of 60th Street in Manhattan. The program will be established, operated, and maintained by the Triborough Bridge and Tunnel Authority, working closely with the City Department of Transportation for installation. A six-member Traffic Mobility Review Board will be established by the TBTA to advise on tolls, exemptions, and credits to ultimately be determined by the TBTA based on recommendations from the board. Tolls will be variable and passenger vehicles will only be charged once per day. The implementation day will not be before Dec. 31, 2020. 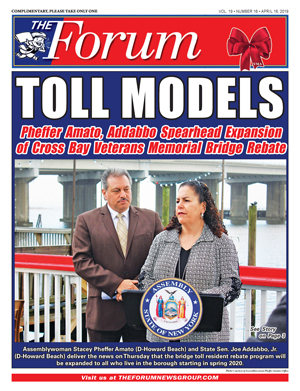 The tolling program will leverage $15 billion, which will be dedicated to MTA capital needs. Additionally, the budget creates a dedicated lockbox to ensure that 100 percent of this revenue goes to the MTA capital budget and prohibits the use of these revenues for non-capital spending. • Cash bail will be eliminated for misdemeanors and non-violent felonies, alongside a new requirement that police officers must issue desk appearance tickets to most people charged with misdemeanors and Class E felonies, rather than making a custodial arrest. Together, these reforms will ensure the vast majority—approximately 90 percent—of cases where people are charged, but not yet convicted of a crime, will remain out of jail before their day in court, Cuomo noted. 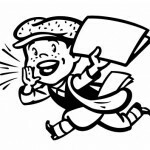 • To overhaul New York’s antiquated discovery process by which prosecutors could withhold basic evidence until the day the trial begins, legislation included in the FY 2020 Enacted Budget will require that both prosecutors and defendants share all information in their possession well in advance of trial. Defendants will also be allowed the opportunity to review whatever evidence is in the prosecution’s possession prior to pleading guilty to a crime. Prosecutors will be required to provide the defense with discoverable information and materials within 15 days of arraignment. Additionally, in an effort to cut down on tobacco use by New York’s youth and provide greater regulation to the industry, the budget will introduce a tax on e-cigarettes and require e-cigarettes to be sold by licensed retailers only. The plan also includes legislation to ban single-use plastic bags provided to customers and allows counties and cities to opt in to a 5-cent fee on paper bags, with 40 percent of the revenue supporting local programs to buy reusable bags for low and fixed income consumers, and 60 percent of the revenue supporting programs in the State Environmental Protection Fund. “This is the broadest, most sweeping state budget that we have done, and for the ninth-straight year it was both timely and fiscally responsible,” Cuomo said.